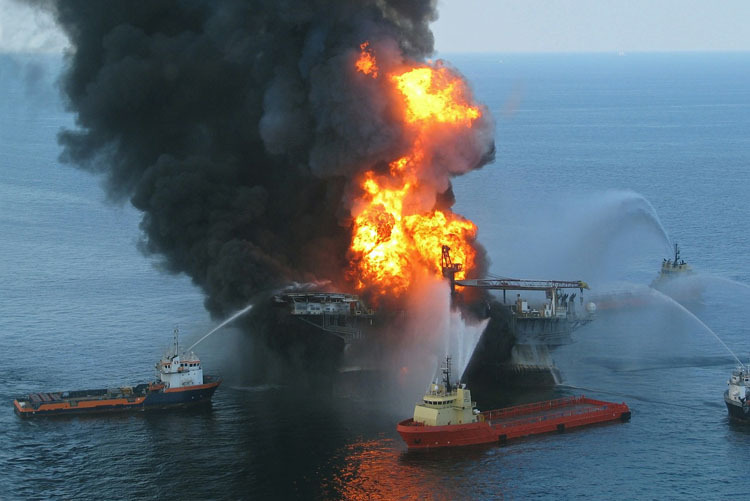 The oil and gas industry is acutely aware of the potential for immediate disaster when fire breaks out, and experience has shown that the aftermath of every incident heralds significant changes in the way we work and operate. If you examine the detail of the Cullen report after the Occidental Piper Alpha disaster, it makes it clear that we can never truly mitigate the risk of fire, but what we can do is plan to ensure we reduce the number of people injured. Such planning could involve implementing changes to aspects of engineering, redesigning personnel training and/or reducing manpower in a way that doesn’t compromise safety. The oil and gas industry has seen on average a 15% decrease in work activity, but a 40% increase in fatalities across the world with the main cause of death being burn injuries. Unlike at major one-off incidents such as the Piper Alpha disaster or the Grenfell tower fire, oil and gas remote site injuries occur in numerous separate incidents which makes it difficult to present evidence to bring about change in the way we manage burns’ patients. The variety of causes of burn injuries in our industry and variation in systems of care available globally compound these difficulties. The Great Fire of London that started on 2 September, 1666, changed the way buildings were constructed and brought about the birth of a designated fire service. Fires were quite a common occurrence in those days but were usually soon quelled, which gave a sense of reassurance to inhabitants. A similar attitude was prevalent in the recent Grenfell tower block disaster in London; in case of fire, residents had been advised to remain in their flats. In 1666, the fire was extinguished altogether by 6 September, leaving just one fifth of London standing. Amazingly, only six people had died, unlike in the Grenfell tower fire which has left a death toll to date of 80 although the true number may be higher and never be known. Aspects of the Grenfell fire appears to have a lot of similarities with the fire of 1666; these include poor building design, combustible materials and densely-populated accommodation. The London regions are supported by four major trauma centres and three specialist burns services; however not a single burn patient from the Grenfell tower fire was received at any of these units. The reason for this is that the patients admitted to hospital from the Grenfell tower fire were suffering from smoke inhalation and were treated immediately for cyanide poisoning. These traumas require continuous cardiac monitoring, and respiratory and cardiovascular support, with regular neurological evaluation. This type of definitive care is provided in an intensive care unit not specialist burns’ units. Additionally, patients with more than minimal symptoms of smoke inhalation or chemical ingestion were admitted for observation and supportive care. It is only after patients have been treated and stabilised for these other injuries that they can then be referred to specialist burn services. Smoke from the Grenfell fire would have had a lot of chemical agents not only from the building’s fabric but from materials within the residents’ flats. These would include acids, alkalis, oxidising and reducing agents, alkylating and chelating agents, and solvents. It is worth noting that thermal and chemical injury by a chemical interaction can lead to extensive tissue destruction and extreme pain that may not be immediately obvious; there can be a delay in presentation of these symptoms of several hours. The injured person may present themselves at the remote clinic when they are off shift several hours later, for example. These injuries account for only three per cent of all burns but lead to approximately 30 per cent of burns’ deaths. At remote sites where an incident brings about acute poisoning from hydrogen cyanide (HCN) gas or soluble HCN – precursors to sodium cyanide and potassium cyanide – which are used mainly in gold and silver mining, the principal acute care concerns are hemodynamic instability and cerebral oedema. Antidotes such as hydroxocobalamin and sodium thiosulfate and sodium nitrite are available in commercial kits. Working on an industrial site, we are all used to wearing personal protective equipment (PPE) to protect ourselves from incidents such as chemical ocular burns which account for between 7.7% and 18% of all eye trauma. Typically, young males working in industrial and/or remote environments, petro-chemical plants and laboratories are the most common patient group for this type of injury, with more than 70% of eye burns occurring at the place of work. First aid for chemical burns of the skin and eyes involves removing the compound from body contact (e.g. removing clothing) followed by copious irrigation to dilute the chemical. This strategy is taught worldwide and is promoted in a number of life support courses including the Advanced Trauma Life Support (ATLS) and Emergency Management of Severe Burns (EMSB) courses. Although sound in its objectives, the burns’ management strategy outlined above is not perfect as there is no measure for the adequacy of lavage apart from pH monitoring of the burn site. Irrigation may be performed for up to 2.5hrs to return the skin’s pH to between 5.5 and 9 (safe limits). Remote clinics and sickbays are generally poorly prepared for the management of a chemical injury; chemical showers may be present at site of chemical storage, with a deluge system. However, this puts the patient at risk of profound hypothermia both from evaporative losses from the chemical burn and also because water is hypotonic, which means that it pushes chemicals further into tissues. This is on account of the chemical reaction between a corrosive or irritating molecule and one or more biochemical components of the skin or eye from our own bodies. It also depends on physical factors such as pressure or the temperature of the deluge, the area and the extent of the affected tissues and whether the tissues are healthy or not in the first place. The best method to ensure a chemical injury is managed is through the use of general-purpose washing solutions for ocular and cutaneous chemical splashes available commercially. Hypertonic, amphoteric and multi-site washing solutions prevent the chemical from penetrating the tissue and make it possible to create a reverse flux capable of pulling the chemical out of the tissue. Among the worst chemical injuries to be faced with and which require time-critical treatment, are those caused by Hydrofluoric acid (HF). This is a relatively weak acid that penetrates deeply into the tissues resulting in severe burns. In high concentrations it can also cause life-threatening systemic poisoning and fatalities. Penetration of H and F ions into the tissues causes corrosive lesions; chelation of calcium leads to systemic hypocalcemia and other serious electrolyte imbalances (hypomagnesemia, hyperkalemia) may occur. These in turn may lead to severe metabolic acidosis, cardiovascular shock, cardiac conduction abnormalities, and cardiac arrhythmias including non-perfusing Torsades de Pointes ventricular tachycardia. Hydrofluoric acid has widespread usage in industry and can be produced as a by-product of a fire. Concentrated HF (40–70%, anhydrous) rapidly produces painful lesions requiring that decontamination and treatment be undertaken immediately. There are various methods for decontaminating and treating HF dermal burns. 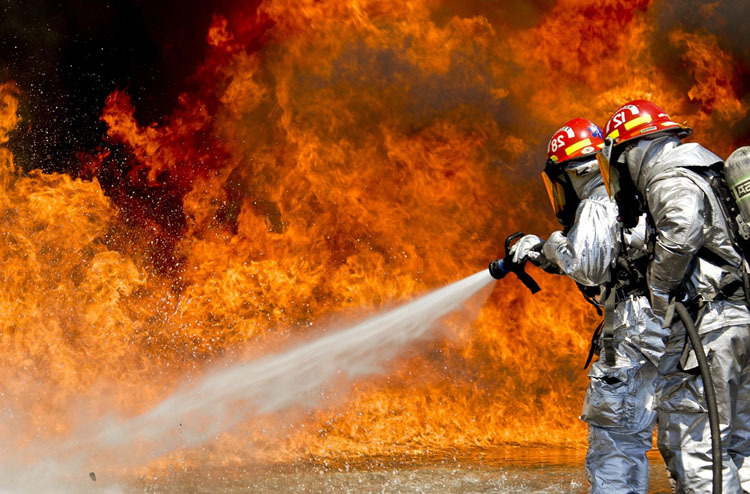 Washing with water, which does not trap hydrofluoric acid, is not sufficient to stop the evolution of the burn because it draws calcium from the patient, which results quickly in a serious burn. The use of calcium gluconate blocks the appearance of the burn, at least during the first 24 hours, but a single application is not sufficient to eliminate all fluoride ions. When the treatment is stopped, the burn re-appears, because the residual rate of free fluorides is still above the toxicity limit. The immediate use of a powerful chelating agent called Hexafluorine suppresses the action of hydrofluoric acid and does not allow the possibility of F-ions getting linked to the calcium into the tissues. At Medilink international, we are aware that thermal and chemical injuries are some of the most difficult to manage even within an advanced world health system. We ensure that through our CPD programmes, remote healthcare practitioners we deploy have the latest understanding and equipment to manage these types of injuries to latest best practice standards. IPEICA – statistics on burns in the oil and gas industries. Prevor – background on treatment of chemical injuries.